The enigma of rock 'n' roll comes with its own brand of myths and legends that permeate through culture and become fixtures in certain artists' lore. From the strange relationship confusion surrounding The White Stripes to Lady Gaga being a rumored hermaphrodite, certain music mythology amplifies the bohemian world of rock. Here's a look at a few of prevalent rock legends. 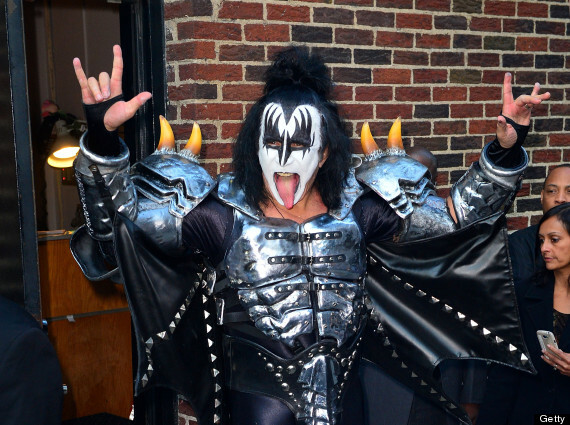 Simmons certainly has an abnormally long tongue, a fact emphasized by his fire-breathing, blood-spitting antics onstage. Fans have long been prompted to question whether it was actually a cow's tongue surgically added to his own, a rumor that's been debunked due to its medical impossibility. A cow's tongue is a typically a foot long, meaning there's no way one to fit even part of one in a human's mouth. Simmons says he simply has a "superlong tongue."